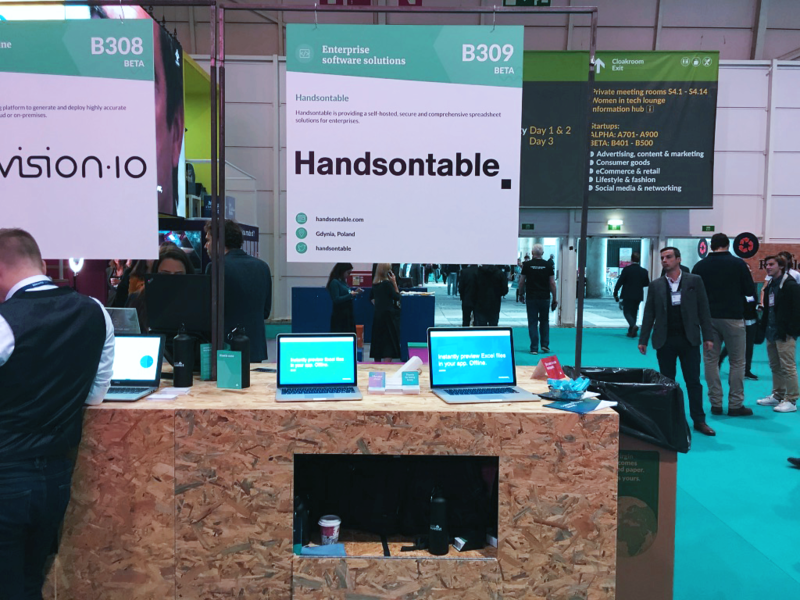 Handsontable - What is it like to be a Beta Startup at Web Summit? Web Summit is undoubtedly the largest tech conference in Europe and one of the most recognizable on the planet. It draws more than 70 000 participants, among which are politicians (such as Tony Blair and Al Gore), celebrities, tech market leaders, journalists, and attention-hungry startup founders. They are the most precious source of information about trends coming into view in the tech industry. Attending the event for the first time is definitely an eye-opening experience for a non-technical person. Even for techies like us, it was a bit overwhelming when we attended in 2017. But we loved it. We soaked in the crowd and felt great being surrounded by so many creative and curious folks. The vibe was so positive that shortly after the conference was finished, we decided to take part in the next one as an exhibiting company. We read a lot of complaints in the past about the conference being too expensive, especially in comparison to what it offers. Most of these opinions are from times prior to 2016 when Web Summit was held in Dublin. Frankly, we don’t know how it was then, but in our opinion, it’s worth every penny now. During the event, we also talked to some startups near us and most of them were satisfied with what they got. 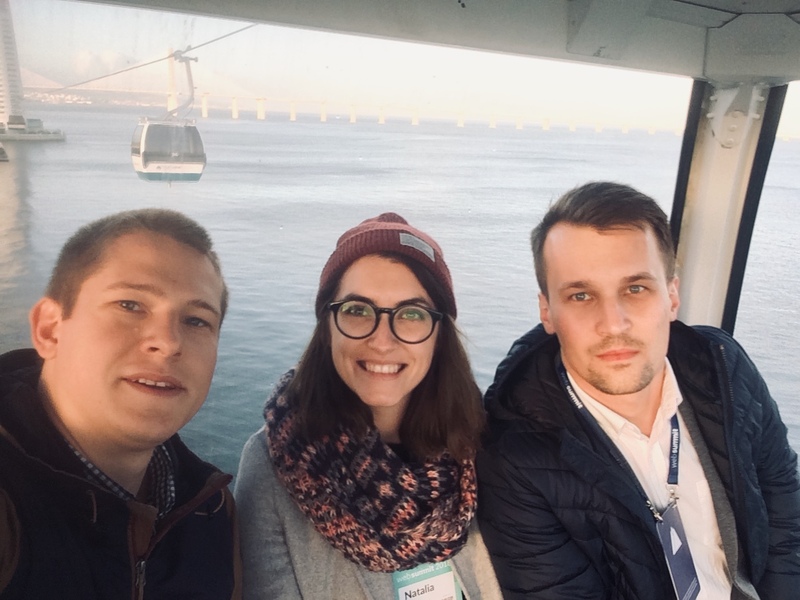 We wrote this article to help entrepreneurs who hesitate whether to show off their startups at Web Summit or spend money somewhere else. 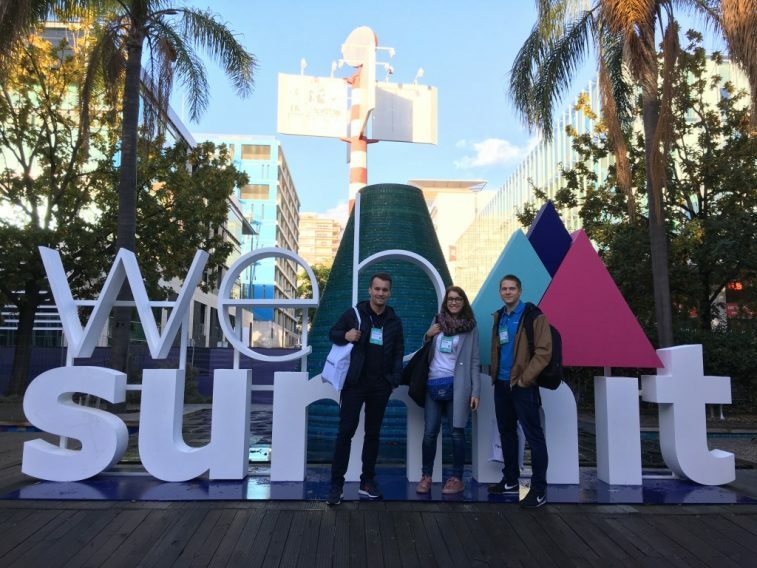 Read on to find out what to expect, and what it takes to be prepared for and then take part in Web Summit. Apply as soon as possible for the Beta Startup Programme to lock in your spot. You can also sign up for additional things such as roundtables, mentor hours, or the PITCH competition. It’s really easy to fill up your schedule. Prepare your presentation. Let your guests play with an interactive demo and give them a free trial period of your app. The WiFi connection at the conference is fast enough to run even the heaviest web apps, but it’s best if your app can work offline. Schedule as many one-on-one meetings as possible during your exhibition day. Also, don’t forget to inform your contacts of your stand number and date of the exhibition once you get them (around two weeks before the conference). Set clear goals and objectives. What are you looking for at Web Summit? That might be better recognition, idea validation, press coverage, an investment, or a lucrative deal. Whatever it is, make sure that you and other team members are on the same page. Decide if you really want to stand out. If your goal is to get some attention then you should rent a 27’’ LED HDMI monitor from the organizer to better present your product. If, on the other hand, you are looking for something more tangible like funding, then you should focus more on pre-scheduled meetings instead of attracting random folks on the exhibition floor. Don’t forget to bring your business cards. Although the official app makes it easy to add each other to a contact list, most people still appreciate the old school way of exchanging contact information. Wake up early. You should get to your stand before 8 am. Wear a comfortable pair of shoes. The Altice Arena and pavilions in which the summit takes place are enormously huge (yes, that big). Our pedometers showed that we took more than 15 000 steps during the event alone. Take your travel mug with you. You can easily refill it as there are plenty of water dispensers across the exhibition floor as well as free coffee machines. Prepare for the worst, expect the best. You will have a one-time opportunity to talk to 60-110 people in just about 9 hours(!). That’s probably the most exciting thing in the startup journey – talking to real people and receiving valuable feedback. Make notes after the most important conversations. The exhibition day is quite hectic and everything you talk about will eventually get mixed up at the end of the day. Make sure you note down at least the person’s full name, their company’s name, and the topic of your conversation. Don’t take the pitch board with you after the exhibition. Although it’s ok to do so (and even encouraged by the organizers), they’re quite large and rather won’t fit that new furniture in your office. Besides, it gets recycled if you don’t take it. Summarize your exhibition day. Check if you met your goals, and if not, then find out why. We found it quite difficult to produce our desired result, but that was due to having poorly defined goals. Send follow-up emails. Sounds obvious, but most of the companies we met didn’t bother to send anything after the summit. Some of them sent blatant spam. That’s not how it should work. The value you get from the exhibition day is strictly connected with the effort you put into preparing for and participating in the conference. If you do your homework right, sign up for additional events, and schedule one-on-one meetings, then you’ll likely meet your goals. You’ll also struggle to find the time to take even a short break, but if that’s part of your plan then go for it. If you feel that your results don’t meet your expectations, you should at least have information on what to do differently for the next conference you attend. That may be preparing better, taking part in more events, or even signing up for fewer events. Either way, as long as you take as much as you can from the experience, it’ll have been worth it.